The Moshulu is a renovated ship with an outdoor bar. Get ready to shake your (fish)tail at the next Daybreaker in Philadelphia. 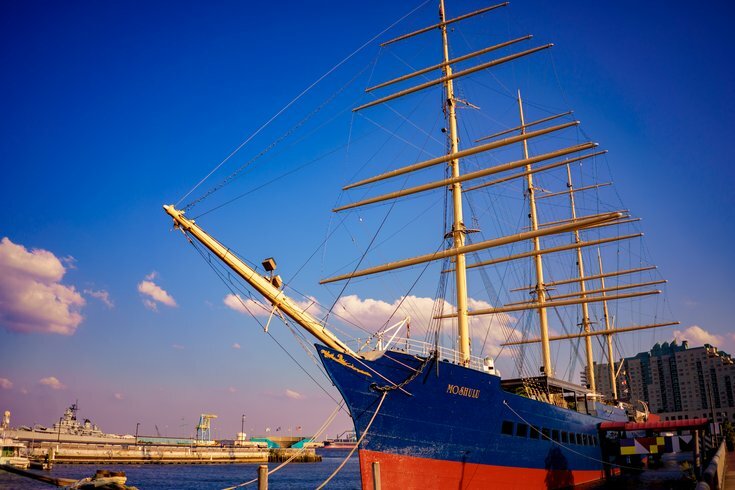 The early morning dance party/workout will take place on the deck of the Moshulu, a four-masted tall ship docked at the Delaware River waterfront, and attendees are invited to dress up in mermaid-inspired costumes for it. Just make sure you can move in whatever you wear. The event will take place Tuesday, May 22, beginning at 6 a.m. After an hour-long yoga session, the dancing will begin. DJ Del will provide the soundtrack to the two-hour, floating dance party. To fuel attendees at the sober morning rave, there will be breakfast bites, cold brew and juice. Tickets to the event are now available. There's an option to go for the whole event or just the dance portion. If attending yoga, bring your own mat. Curious but don't know what to expect? I went to the very first one in Philly and wrote about it here.